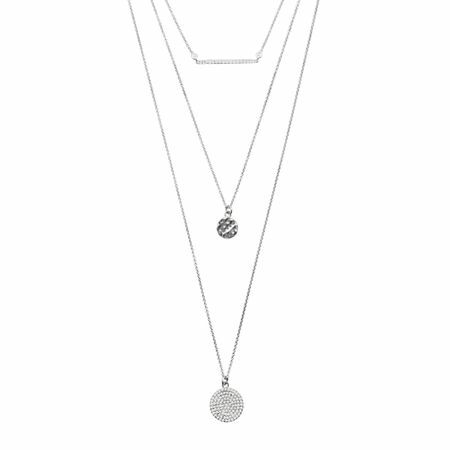 This three-tiered necklace features a bar on the shortest chain, followed by a hammered disc pendant, and capped with a cubic zirconia-studded piece. Largest pendant measures 5/8 by 1/2 inches. Necklaces measure 16-25 inches long, plus a 1 1/2-inch extender for adjustable length, and features a spring ring clasp.